The two inset coffee table drawers on each side are dovetailed and on soft close undermount drawer slides ensuring years of quality use! 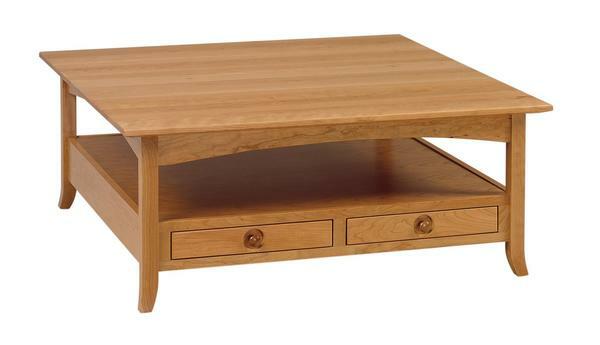 A 1" thick reverse beveled top is standard for this Shaker Coffee Table. Classic wood knobs adorn this wood coffee table to complete the Shaker look.